Growing up as the son of a shop teacher and a home economics teacher sparked Greg Flanagan’s curiosity for building and making things by hand. Tree On A Hill Workshop, Flanagan’s custom design and fabrication shop, specializes in woodworking and digital fabrication. 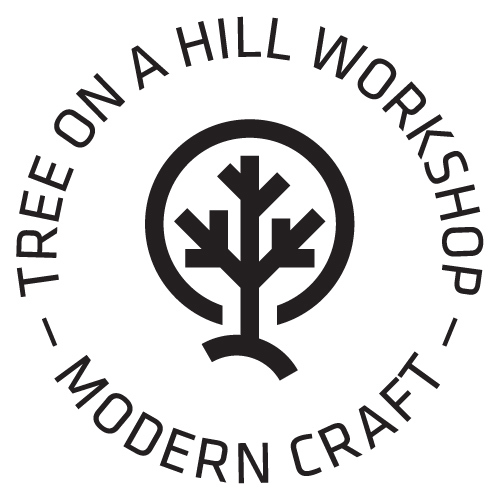 Located in beautiful Northeast Minneapolis, Tree On A Hill Workshop provides contract cutting, artist services, commissioned work, original pieces, and design/build partnerships. Our goal is to bring unique ideas to reality using the latest technology and time tested techniques. What is a CNC router? A CNC router is like a large plotter that moves pens around the surface (in X and Y axes) to create a drawing, except a it moves a cutter around a big table (X and Y axes) and moves it up and down as well (Z axis) allowing it to make 3D movements and cut all sorts of shapes. The cutter looks like a drill bit and is spun by a motor called a router or spindle. Unlike a drill bit, a router bit is designed to cut from the sides as well as the tip. By precisely moving the cutter through material, a CNC tool can create virtually any pattern or shape and can handle many materials. We love custom projects. Have a project in mind that we can help with or an idea you need designed and realized? Send us a note. Growing up as the son of a shop teacher and a home economics teacher sparked Greg Flanagan’s curiosity for building and making things by hand. This lead to his current passion for exploring cutting edge technology in both the digital and physical. A lifelong maker, he has served as consultant and Director of Operations for a public workshop where he lead the charge in small scale and personal fabrication. Along with a deep knowledge of traditional and CNC machinery, he designed and built systems to manage memberships, tools, classes, storage contracts, automated email marketing, and social media communication. He has developed curriculum and taught classes in traditional and contemporary 2D and 3D fabrication and digital design. He has over 30 years of experience as a hardware tinkerer and “maker”.